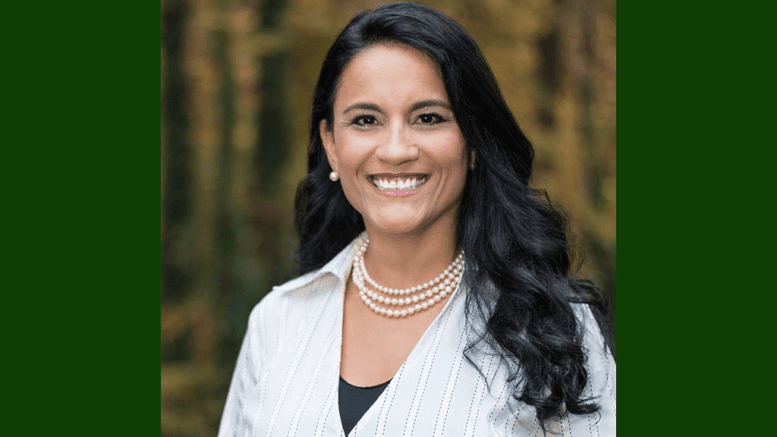 Karín Sandiford has four reasons to run for House District 46: Her four children. The Brazil-born transplant immigrated to America at age 11, and family and politics are the core of who she is. Sandiford has five pillars to her campaign: education, expansion of Medicaid, quality of life, jobs, and gun reform. 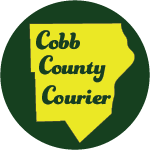 House District 46 comprises northeast Cobb and southeast Cherokee counties. Democrat and business owner Sandiford seeks to unseat state Rep. John Carson in November. She believes strong leadership is needed in the district to protect families. Sandiford believes making technical colleges free and affordable for families should be a top priority. This means tuition-free college for Georgia residents. Additionally, she seeks to increase funding to public schools, where over 94 percent of Georgia’s children are attending. The ACA expands Medicaid coverage for most low-income adults to 138% of the federal poverty level. Following the June 2012 Supreme Court decision, it’s up to the states to decide whether to adopt Medicaid expansion or not. To Sandiford, the bigger issue is moral. “I call my district the hammock of North Atlanta because it hangs between GA-400, I-575, and above I-285,” Sandiford said. Sandiford says she is aware of the public transit proposals in metro Atlanta but believes there is a more immediate solution. To Sandiford, this is the way of the future, a way to ensure better lifestyles for families, and a quick fix to traffic. House District 46 has a high median income, which can be viewed broken down by household income here. But Sandiford says the county has been hit with a lot of layoffs. “When you have people that were once senior managers that were laid off and now looking for new jobs, they are overqualified in terms of pay. I want to bring in the pay inquiry law,” she said. This law would prevent companies from inquiring about job applicant pay history, and in turn, rooting out pay inequalities. Thus far in 2018, 23 states have introduced pay equality legislation. Sandiford believes this and the work-from-home program bill could — and should — be put on the house in 2019 to become law in next year. “I support the second amendment 300 percent. I have no issues with the second amendment rights,” she said. As a mother, Sandiford holds gun reform close to her heart. While she expresses support for the Second Amendment, she believes that for us to responsibly protect the lives of people we need gun reform. “If we’re saying no guns are allowed in [the Georgia State Capitol] where it’s only adults that work there in the legislature, government offices, etc. — with security guards — then why are we okay with allowing guns on places where our children are?” she said. Sandiford says throughout her career she built a reputation of being the go-to person in times of crisis because she can bring people together to focus on solutions. To her, being a representative means listening to all the different ideas, whether you agree not, and finding the areas to come together and move forward. Sandiford’s Christian values lie deep within her personal life, and she believes in the separation of church and state. As the daughter of a Christian missionary, she says her relationship with Christ is a core value. She says Christianity does not dictate her legislative decisions. Sandiford, 47, was born in Brazil and raised in Peru, where her parents were missionaries in the Amazon. In 1982, her family immigrated to Lincoln, Nebraska. She earned two degrees from the University of Tennessee at Chattanooga, one in business economics and the other in philosophy, as well as taking two years of mechanical engineering courses. She also holds an executive MBA from Emory University. Lauren Leathers received her undergraduate from Kennesaw State University in journalism and emerging media. Art, culture and entertainment writing is her passion, but she enjoys writing anything she can get her hands on. In her free time, she enjoys reading, going to shows and indulging in junk food. Be the first to comment on "Karin Sandiford supports Medicaid expansion, gun reform"